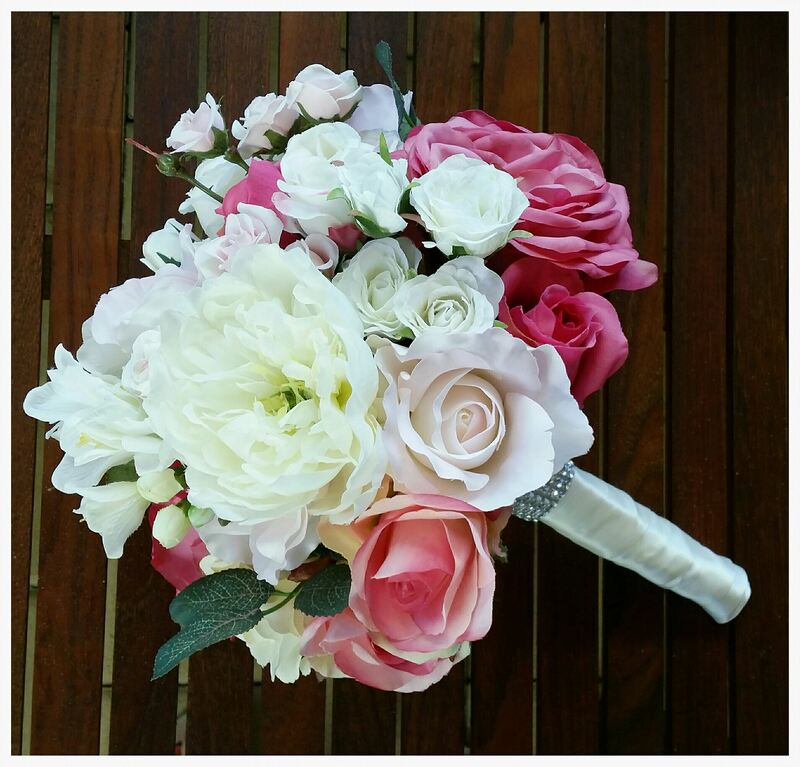 Specialising in custom designed, artificial & brooch bouquets. 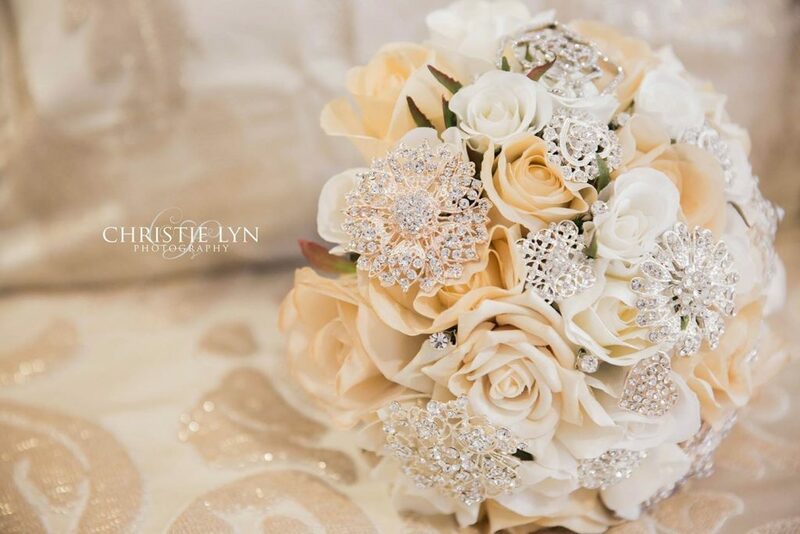 Brooch Bouquets are a unique alternative to using fresh flowers on your wedding day. 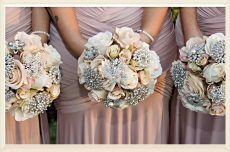 Each Brooch Bouquet is created using beautiful brooches covering a silk or foam flower bouquet, finished off with a gorgeous stem wrap of lace, satin, pearls and diamontes. 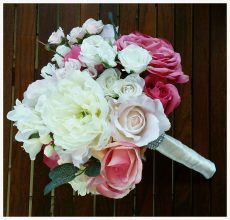 Why choose Bridal Brooch Bouquets? Bridal Brooch Bouquets is a mother and daughter who once laid their eyes upon a Brooch Bouquet and instantly fell in love. After months and months of training, the outcome was apparent… my mother has perfected the art of designing these beautiful creations. Our photos hardly do justice, they are just amazing. Our Rhinestone and Pearl Brooches are hand wired and perfectly positioned within the bouquet to create your stunning Bridal Brooch Bouquet. Is each Brooch Bouquet custom made? Yes they certainly are. We personally meet with each Bride to discuss their likes and dislikes as we know that everyone is different and each Brooch Bouquet is made right here in WA. Our choices range from bling to vintage and everything in between. What’s the best thing about Brooch Bouquets? They are yours to keep forever and the perfect thank you gesture to your Bridesmaids! A piece of your wedding to place on show for the rest of your life, maybe even a family heirloom. Speaking of family heirlooms, do you have a brooch or ring hidden away in your closet that was passed down from someone special in your life? 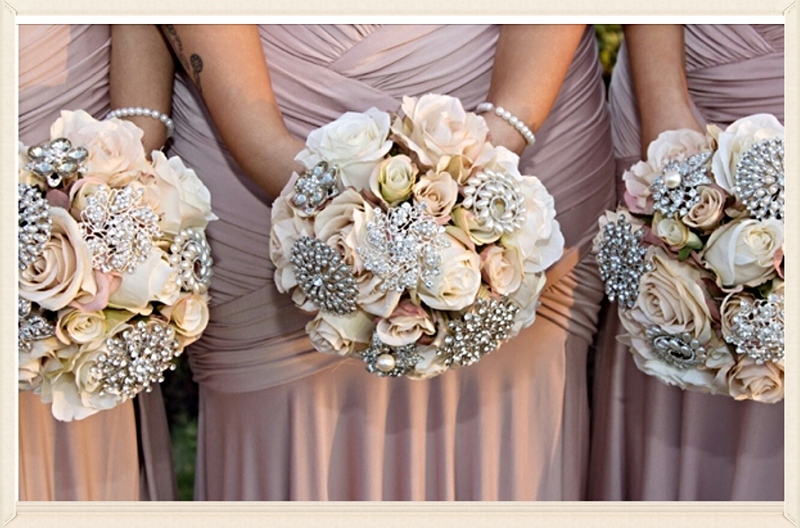 Why not have us incorporate it into you beautiful Brooch Bouquet?